From the earliest I can remember, my mom was telling me the stories of her life and how it was for her growing up in the Cherokee Nation. She told me not just about the things she experienced, but also the things she observed. Though my mom probably had it easier than some Indians back in the day, her life was, by no means, easy. 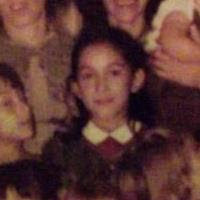 When mom first started school, there was a little girl, approximately 6 years old, who was much darker than the other students and the white teachers treated that little girl really bad. They called her things like a "dirty old" Indian and the little girl withdrew from everyone at school. My mom tried to befriend the little girl, but the girl kept her head down and refused to talk to anyone. My mom has never forgotten that little girl or how sad it made her, knowing the hell that child went through each day she went to school. 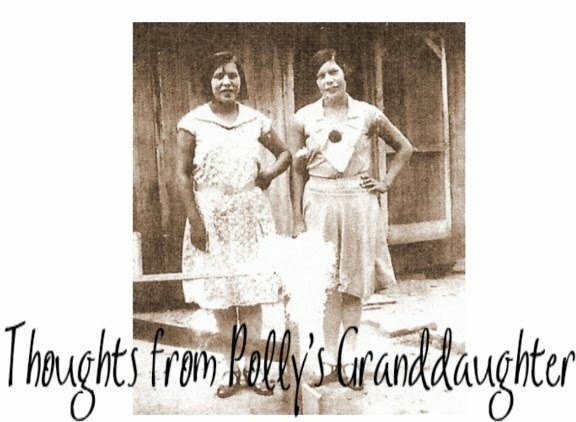 Later, when mom was a little older, there was no money to feed her and her siblings, so her parents told her they were considering sending her and her three younger sisters to Indian school. They wanted to know what she thought about it. She said she thought, "Oh no. Please don't ask me that!". She knew if she said she didn't want to go, her parents would not send her, but she also knew they wouldn't ask if it wasn't a desperate situation. So, she said, "It will be okay. Maybe it will be fun." She knew it wouldn't be fun, but she wanted to ease the burden on her parents. Indian school wasn't easy. There was a teacher that walked around with a metal ruler that would hit them, just spur of the moment, hit them, with that ruler. My aunt, the youngest of the four who went away to school, witnessed a little girl taking such a bad beating with that ruler, that to this day, she has flashbacks about the horror of it. This type of thing is just one of the memories mom carries with her from her time at Indian boarding school. 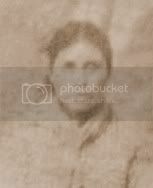 Mom lived through the racist ideas people had about Indians and she grew up in a time when the only Cherokees were real Cherokees, for the most part. Real Cherokees were not ashamed of who they were and fakes weren't crawling out of the woodwork like roaches to claim to be Cherokee. Those real Cherokees paid the price for us to have a better life, an easier life, than they had. Now that there is really no cost for being Cherokee, everyone wants to claim to be one. My mom is too quiet to ever question or call out a fake, but she is proud that I do it. I don't think she realizes that when I speak, it is the song of her life that inspires me, that drives me, to share the truth about who we Cherokees really are and to keep our history, the good and the bad, for us, and with the people it truly belongs to. My mom might be proud of me, but it can never come close to how proud I am of my mom. I am proud of her for overcoming great obstacles in her life yet still maintaining a positive attitude. No matter what she has been through, she still always sees the good in everything. In the last year, I got a lot of media attention. When my first op-ed appeared in the Cherokee Phoenix; when I was on America Live with Megyn Kelly; when I went to Boston and spoke there, mom was proud and thought I did "good." If I did "good", it was only because of you, mom. It's always been your song that inspires me. I would be nothing without you. I love you mom. Happy Mother's Day.